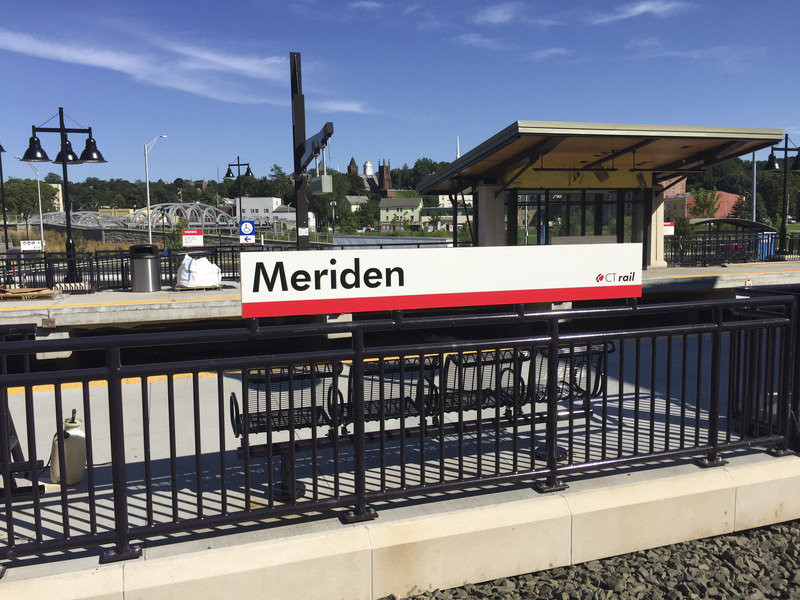 Middletown Area Transit (MAT) is moving forward with a redesigned bus route that would provide express service from Middletown to the train station in Meriden. A public hearing in the fall will allow community members to voice their thoughts on the proposed route, and the route could go into effect before the New Year. With the opening of the CTrail Hartford Line—which provides all-day service from New Haven to Springfield, Mass.—in June, this proposed route has the potential to both connect greater Middletown to Meriden faster than ever before and to connect Middletown residents to cities served by the Hartford Line. This new route would act as an enhancement to MAT’s existing M-Link bus service, which runs between Middletown and Meriden. Noah Kahan ’19, the Wesleyan student leading the work to implement this route as part of his Connect Middletown project, spent his summer working to move this proposed route forward. He took control of the project in the spring of 2017 after its founder graduated and has been working with members of Wesleyan’s administration, employees of MAT, and local government officials on researching and advancing the route, which would see buses taking the highway from Middletown to Meriden instead of the local roads that the M-Link currently takes. In talking with stakeholders of the new route, Kahan sees support that could help the proposal succeed at the upcoming public hearing. Kahan hopes that this faster bus route, combined with a $4.75 trip to New Haven on the Hartford Line, would give students a new, less expensive option as they make their way to New Haven to take the Metro North into New York City. As it stands, the way most students get to New Haven is by taking an Uber or Lyft or by getting a friend to drive. Kahan’s goal is to provide more affordable transportation options to Wesleyan and Middlesex Community College students, and Middletown residents. Kahan also spoke about a proposed bus pass that has been in the works since the summer and could make the trip to New Haven even cheaper. He hopes this pass will be of little to no cost to Wesleyan students. In an email to The Argus, Wesleyan Sustainability Director Jennifer Kleindienst wrote that she sees this proposed bus route as a step in the right direction in terms of giving Wesleyan students access to transportation alternatives. A representative from MAT could not be reached before publication.